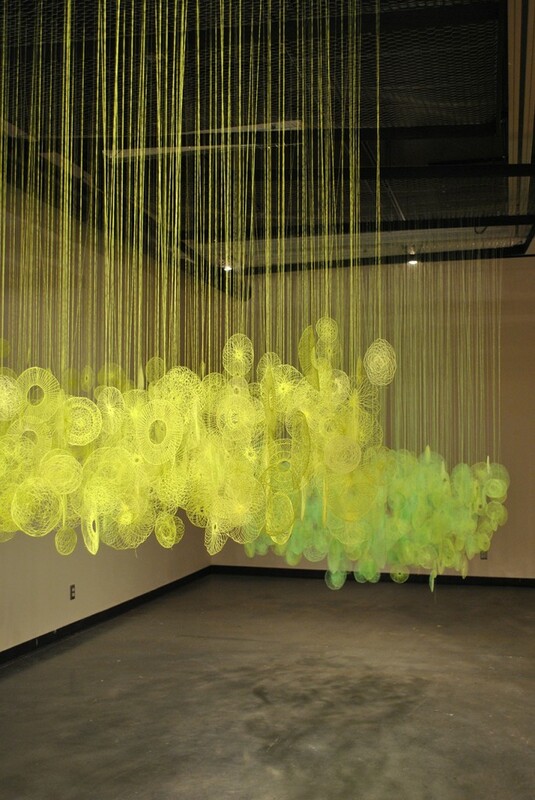 Neon Clouds explores thread’s subtle quality versus it’s accumulative presence. 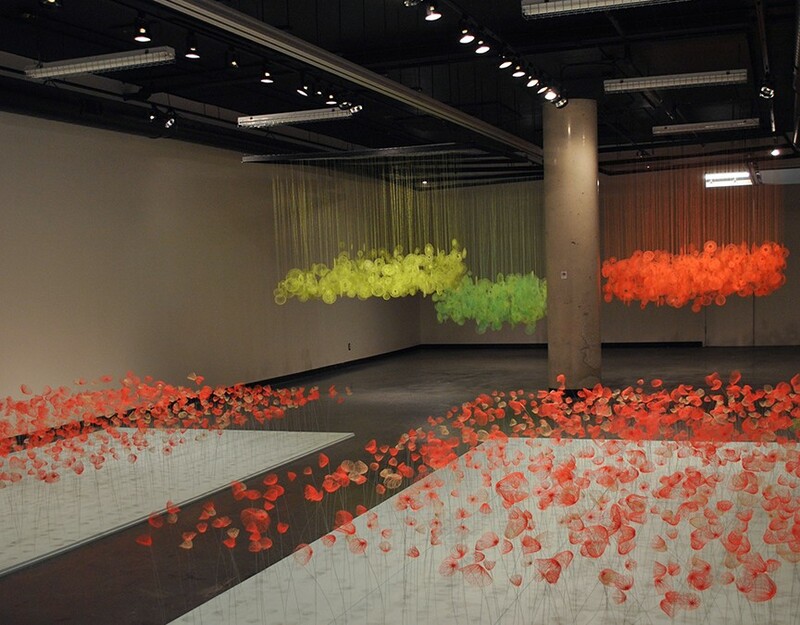 This site specific piece consists of multiple low hanging “clouds” or three dimensional scribbles that are made entirely out of thread. 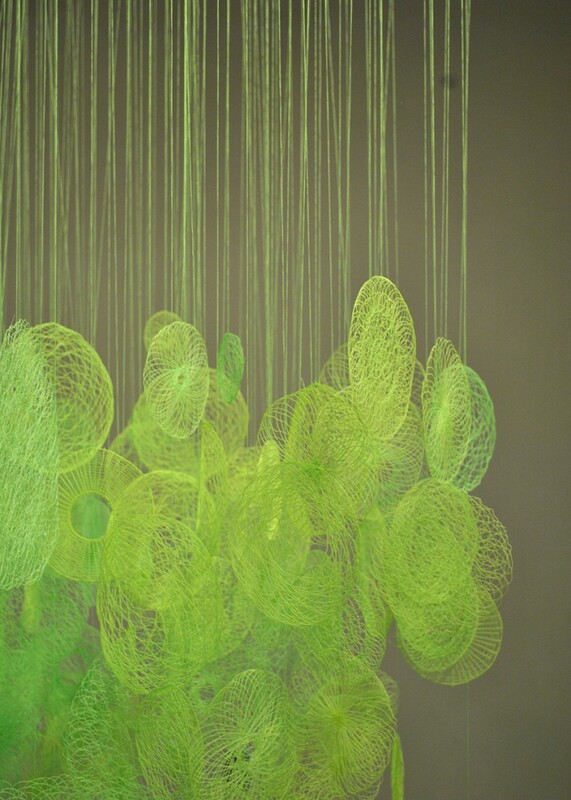 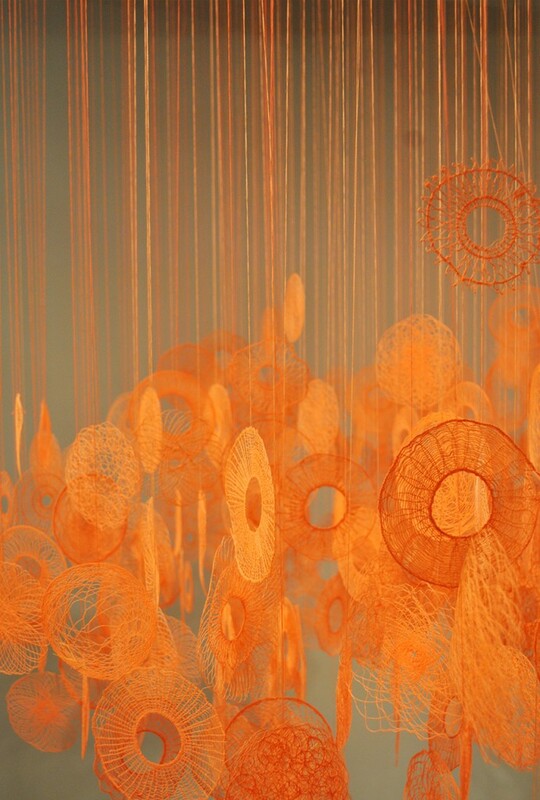 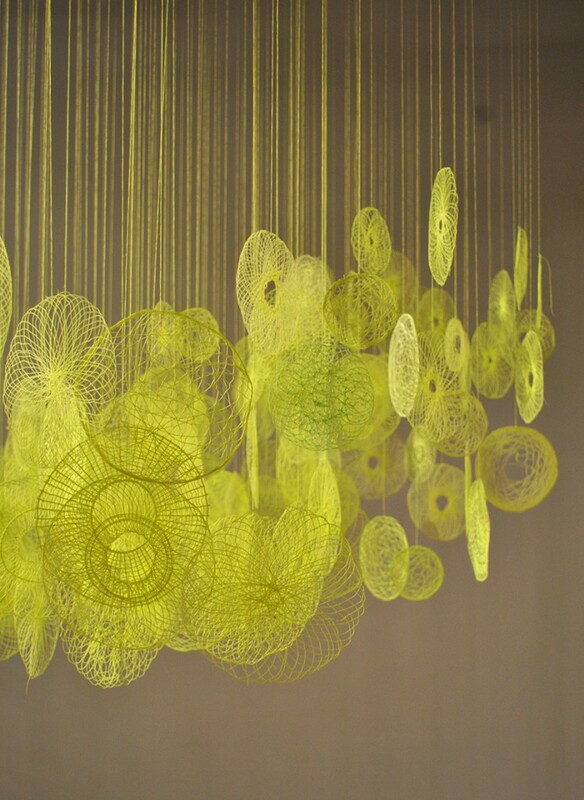 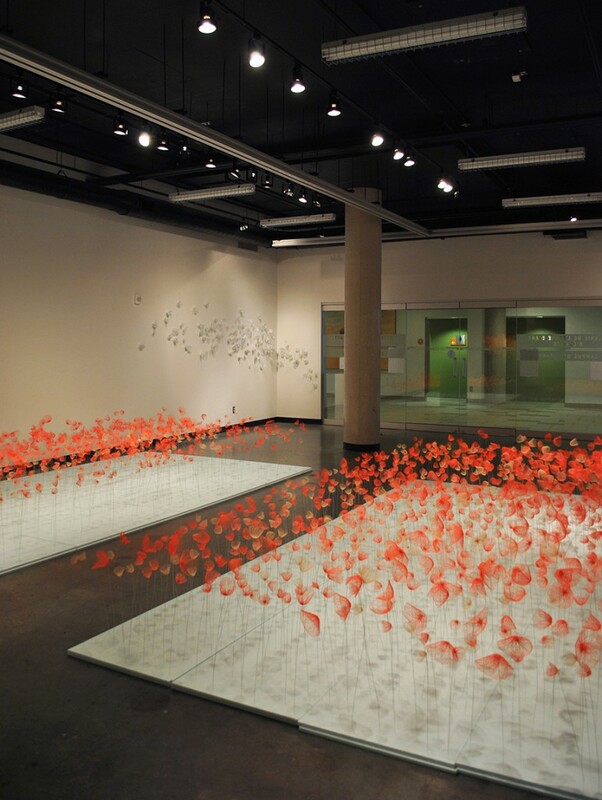 Each cloud is made of hundreds of sewn elements, hung from the ceiling with individual threads. 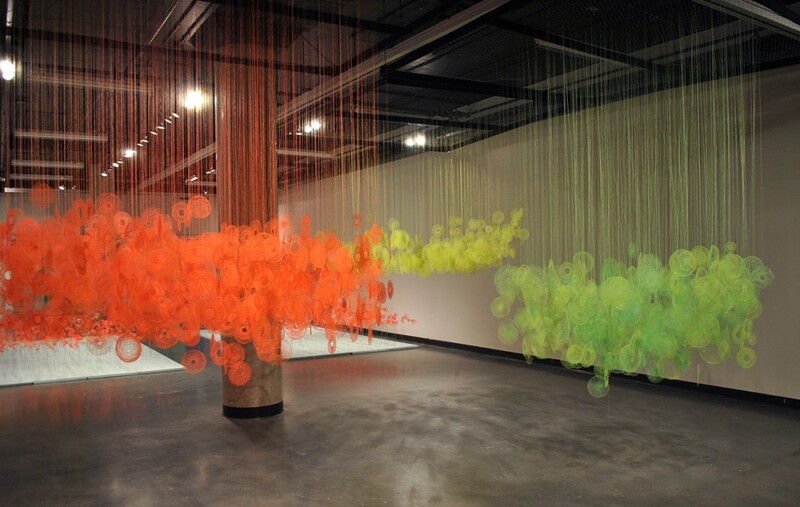 The toxic, saturated thread colours of neon green, yellow, orange create a neon atmosphere. 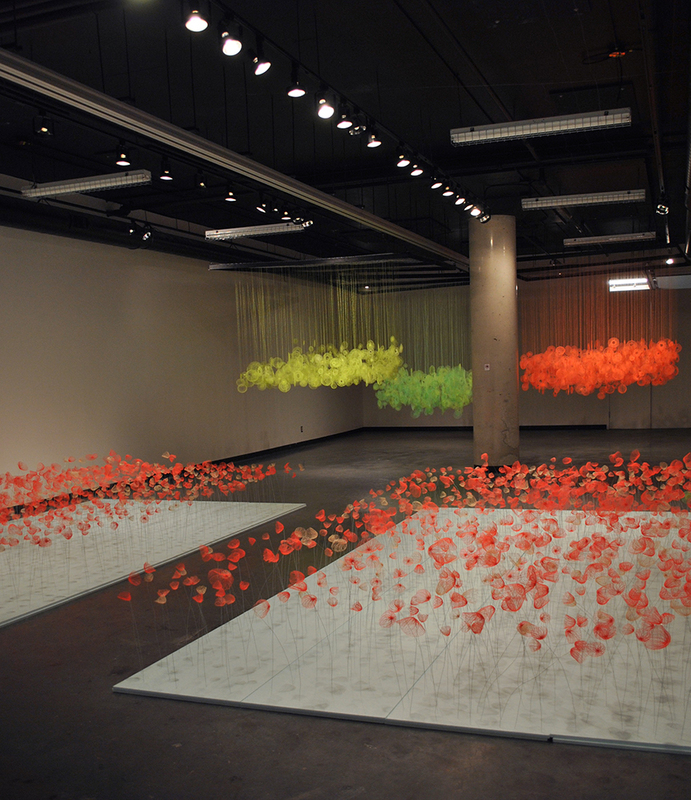 With this installation, visitors can move around the unnatural clouds, navigating the space. 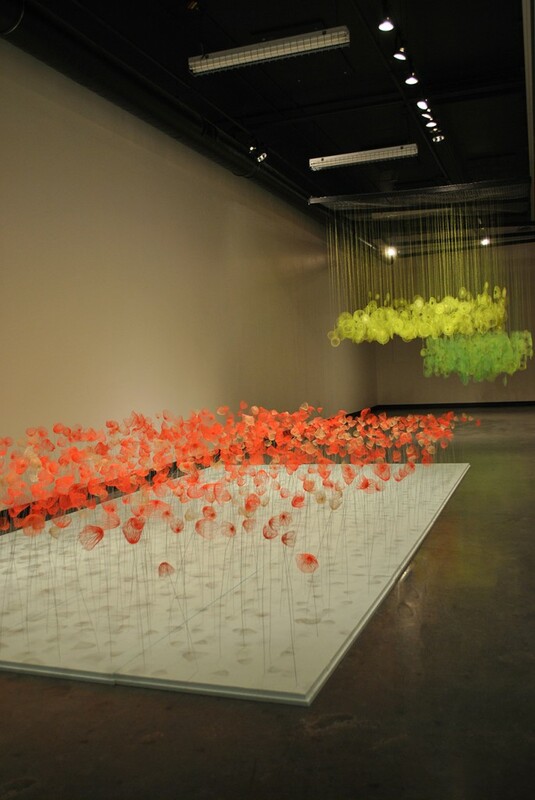 The clouds move slightly with the movement of air creating a faux, surreal cloudscape. 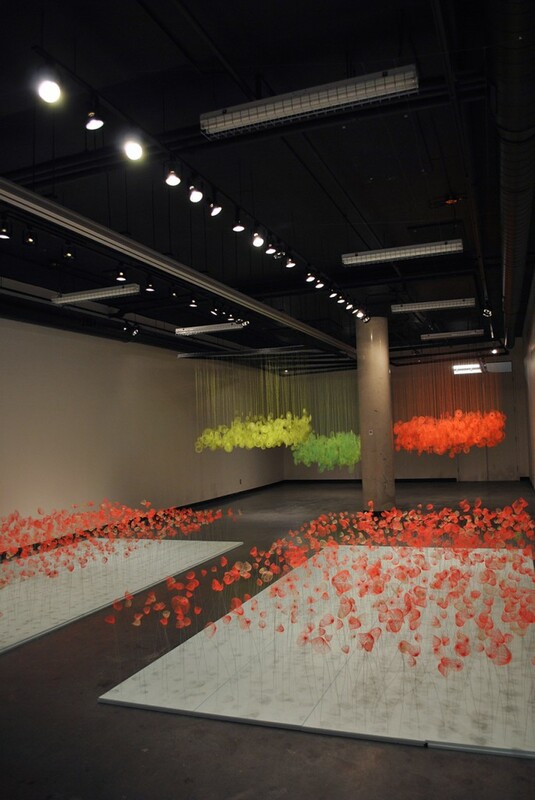 Neon Bloom accompanies the clouds to create a landscape. 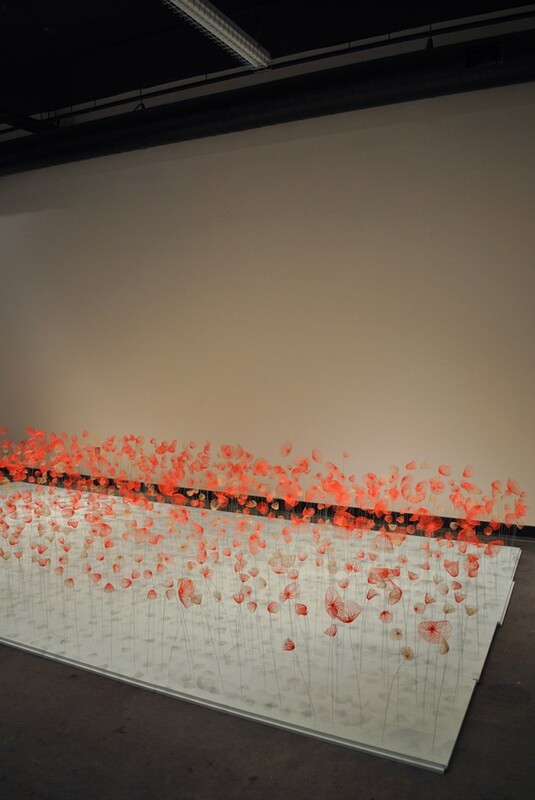 Using ideas around the space of the garden, as well as silk flowers, this piece is a new installation/embroidery work based on an imagined and abstracted field of flowers.